Jack Guarneri is the President and a founding member of Bike HoCo. He is a graduate of the US Naval Academy, and is a retired Naval Officer. He has lived in Howard County for 27 years and is an Operations Research Analyst at The Johns Hopkins University Applied Physics Laboratory in Laurel, MD. He is married to Penny and has 3 grown children and two grandchildren. He has been an active recreational road cyclist and occasional bike commuter for the past 20 years and is also a former President of the APL Cycling Club. Chris Tsien practices law in Howard County with a focus on business, corporate and commercial transactions. He chaired the Columbia Association's Active Transportation Agenda Task Force, served as Bike HoCo's representative on the Technical Advisory Group for the Howard County Bicycle Master Plan, and served on the Advisory Group for the Maryland Department of Transportation Bicycle and Pedestrian Master Plan Update. Chris rides most often with the Baltimore Bicycling Club and HoCoCyclists. Chris is also League of American Bicyclists Certified Cycling Instructor. Chris is the Legal/Government Liaison and Treasurer for Bike HoCo, and also the co-chair of the Bike Howard Implementation Committee. John Brandt is a retired police bicycle officer and was a Police Cyclist Instructor (PCI) and an Emergency Medical Services (EMS) Cyclist Instructor with the International Police Mountain Bike Association. He was the first Bicycle Coordinator at the University of Maryland College Park (UMCP) Department of Transportation, guiding UMCP to become Maryland’s first League of American Bicyclists (LAB) Bicycle Friendly University. He iscurrently a LAB League Cycling Instructor (LCI) and an active bicycle commuter, tandem rider, and e-bike owner. John manages the BAHC Facebook page. Alan Davis is the President of Princeton Sports, a bike and ski shop with locations in Baltimore City and in Columbia, Maryland. Alan is a third-generation bike shop owner as his grandparents, Samuel and Lucille Davis, were the founders of Princeton Sports in Baltimore, which rented and repaired bikes for local residents and opened in 1936. Alan is a founding member of Bike HoCo and represents bicycle shops in Howard County. Jane Dembner is an urban planner with more than 25 years of experience in land use and transportation planning, policy development and civic engagement. Her experience spans the public, private, and non-profit sectors. She is the Director of Planning and Community Affairs for Columbia Association (CA) and she has led CA’s efforts to enhance Columbia’s pathway system for active transportation. She serves on Howard County’s Complete Streets Work Group and the Bicycle Advisory Group. Jane lives in Columbia and is an avid cyclist. She is co-chair of the Bike Howard Implementation Committee for Bike HoCo. Howard Feldmesser is a founding member of Bike HoCo. He moved to Columbia in 1969 where he still resides with his wife of almost 50 years. Howard is an avid recreational cyclist with over 30 Century (100-mile) rides completed. He occasionally commutes by bicycle to work at the Johns Hopkins University Applied Physics Laboratory (APL), where he’s a member and past president of the APL Cycling Club. He is fully committed to making Howard County a cycling-friendly place to live and work in order to improve our environment and our health. Howard is the Communications Chair for Bike HoCo. 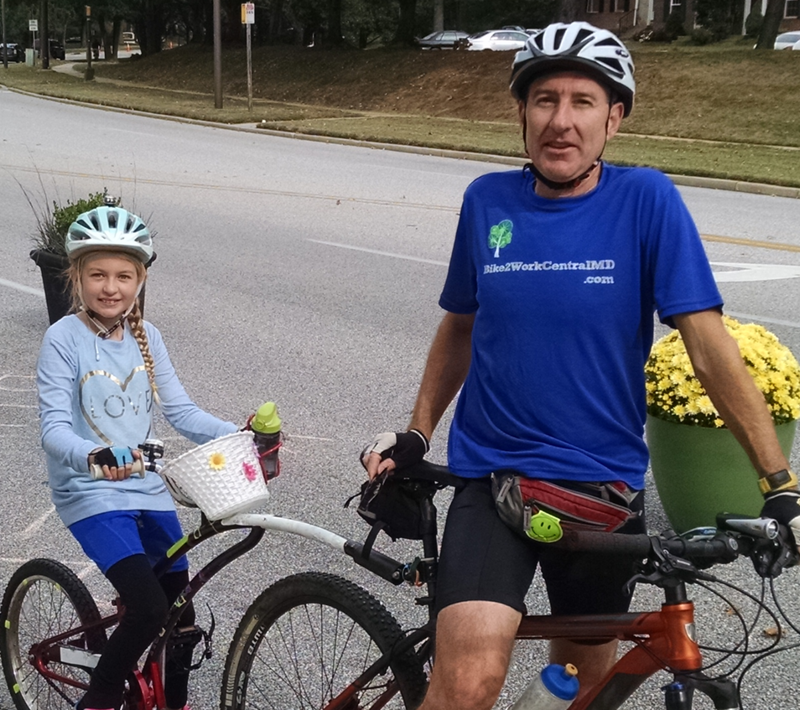 Fran Horan gets great joy from bike commuting on the Columbia trails, road riding in Ellicott City, mountain biking in Patapsco State Park, and neighborhood riding with his daughter. He was the lead author in Howard County's first Bicycle Friendly Community application (Honorable Mention), and in Bicycle Friendly Business applications for JHU/APL (Bronze, Silver). Fran led Bike HoCo’s work on getting the first logo bike rack in the Howard County Public School System. Bill Kelly retired from the DCFD after 27 years of Public Safety Experience and rode bikes for over 70 years. Bill lived in Ellicott City with his lovely wife Sue, with four of their grown children and ten grandkids who all ride bikes. Bill passionately advocated and encouraged more to ride bikes and really enjoy the good life. Bill helped establish/lead the College Park Area Bicycle Coalition in 1988 – one of the oldest bicycle advocacy organizations in Maryland, and he helped found Bike HoCo in 2008. Bill passed away in January, 2018. He will be missed. Ian Kennedy is the Executive Director of the Downtown Columbia Arts and Culture Commission, a non-profit community organization dedicated to enhancing the cultural significance of Merriweather Post Pavilion and fostering the growth of arts and culture in Columbia, MD. Ian has a long-history of working and serving Howard County communities in a variety of capacities. He previously was the Director of Communications for the Horizon Foundation. And before that, Kennedy served as Deputy Chief of Staff to former Howard County Executive Ken Ulman. Ian is an avid bicycle rider, and serves as the co-chair of the Bike HoCo School Bike Program. Larry is a member of the Maryland Department of the Environment Air Quality Advisory Council. He became a bicycle commuting pioneer, as he commuted from east Flatbush in Brooklyn to lower Manhattan in the 1970s. He has led bike rides since 1976, including long distance bicycle camping rides for the New York Council of American Youth Hostels. He now leads rides for Howard County’s Cycle2health. Larry bicycles both for recreation and transportation and believes that bicycling infrastructure and bicyclists serve to make communities healthy and sustainable. Larry is the Howard County Transportation Board representative for Bike HoCo. Warren, a life-time Maryland resident, discovered the joy and independence of bicycling when learning to ride as a youngster in Havre de Grace, MD. He never lost that joy and continued to ride both for recreation and transportation like commuting and errands. He enjoys organized rides like the Seagull Century and the Cycle Across Maryland Tour. Other fun, self-organized rides include the GAP/C&O Canal or the annual Columbia Tour de Pools where, since 2001, he and a few friends navigate the paths of Columbia to the 23 outdoor pools, swimming a lap in each. For many years, Warren commuted to work by bicycle. Warren retired early from the IT world thanks to his thrifty lifestyle (i.e. bike commuting). Now, he and his wife, Amy, continue to live in Columbia after raising their 3 children. When he is not posting on his craft beer blog, he visits his community garden plot and runs errands on his bike. 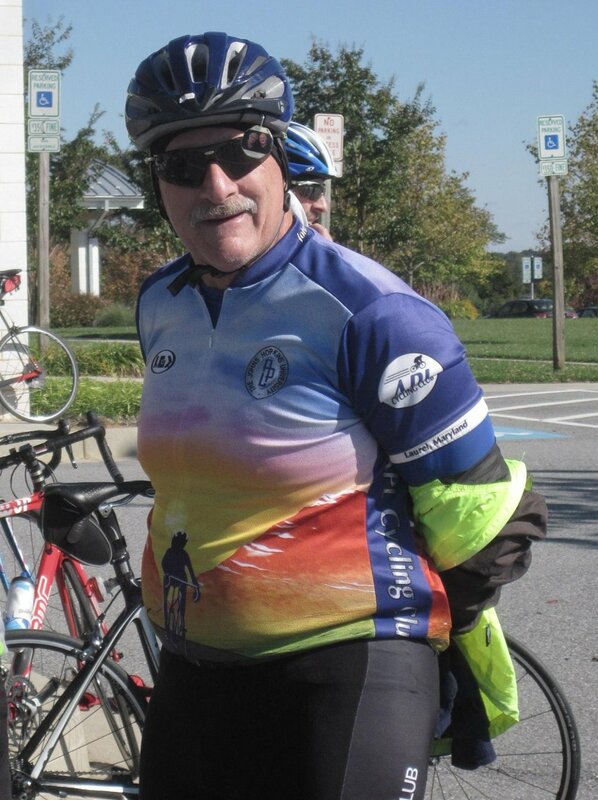 He strives to promote purposeful riding in Howard County to expand the local bicycling culture and spread the joy.